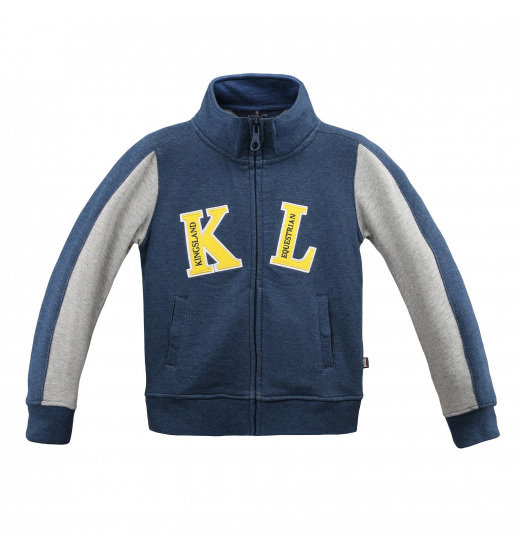 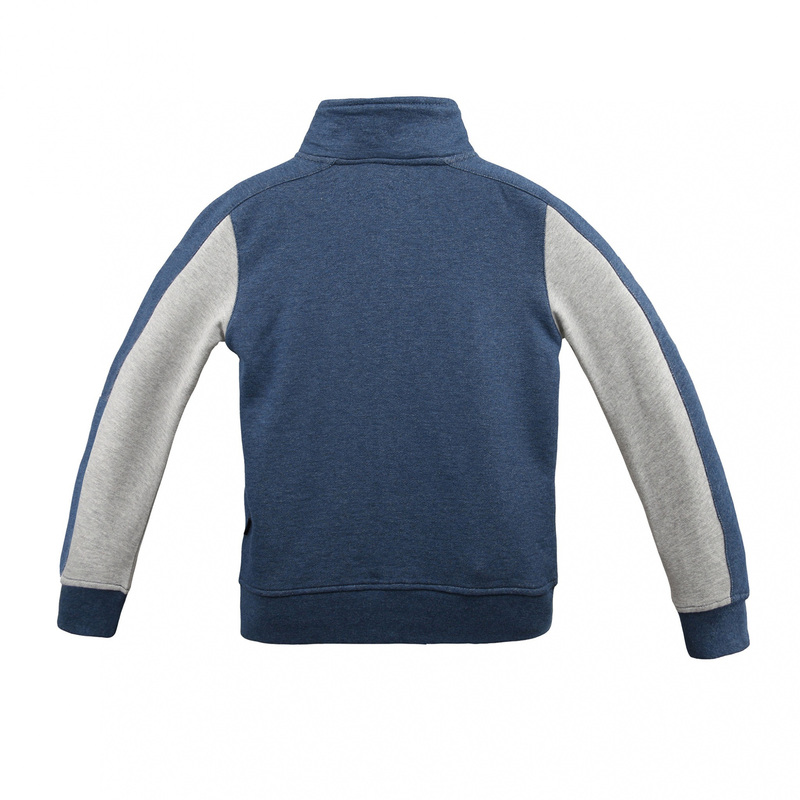 Warm juniors' sweat jacket with hood and zip of a simple cut. 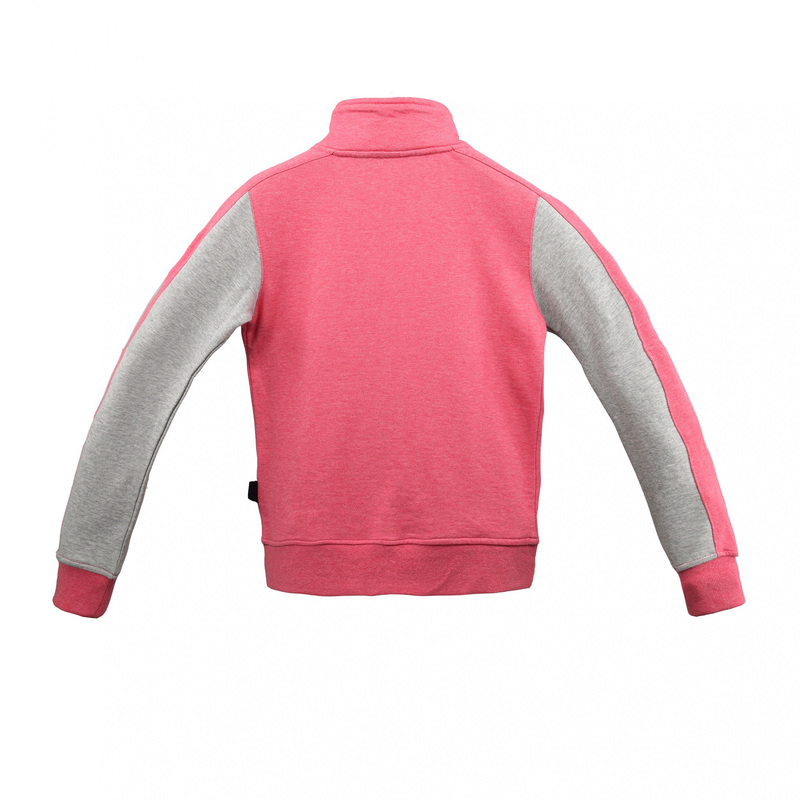 It has inserts in contrasting colour and comfortable pockets on the front, which are fastened with poppers. 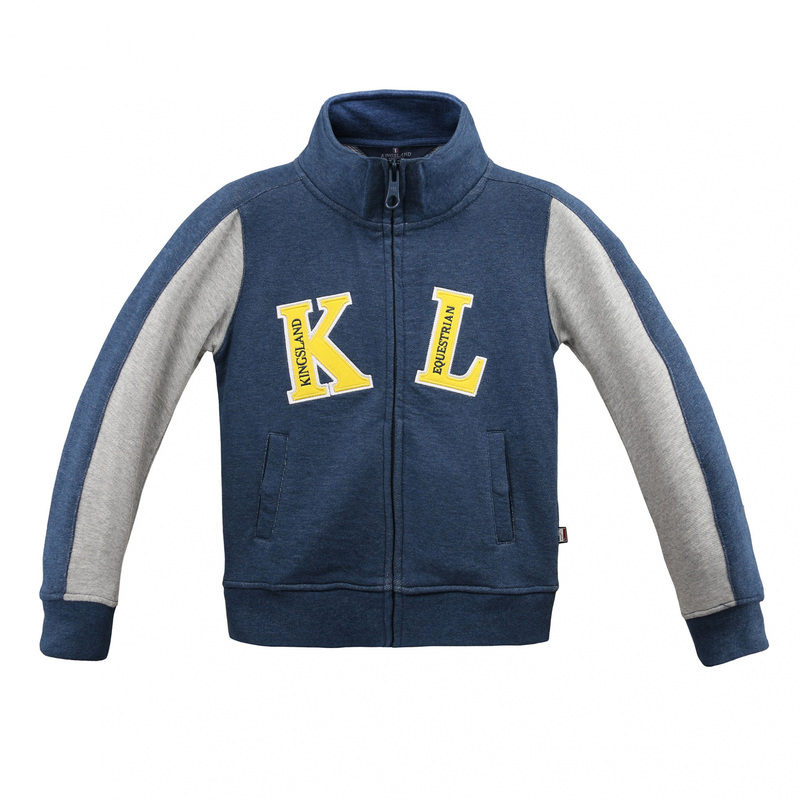 The jacket is decorated with KL application.